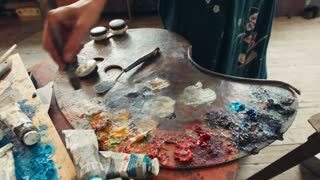 Search Results for "color mix"
Woman Artist Picking Paint by Brush From Already Pressed Colors and Mixes on Palette in Park Outdoors. 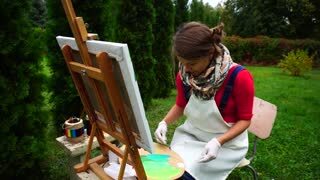 European Appearance Artist Holds Palette and Brushes, Female Mix Yellow Color With Another Color and Makes First Strokes on Canvas in Park Outdoors. 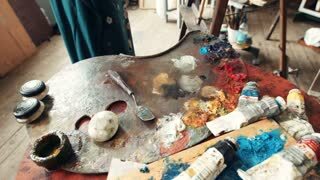 Artist Extrudes Paint From Tubes on Palette For Mixing Colors to Start Drawing Pictures in Art Studio. 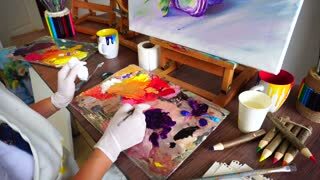 Talented young woman mixing colors and doing canvas painting in her little art studio. 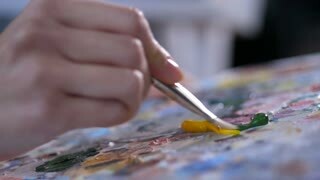 Portrait of a young woman artist holding a brush and mix color oil painting on palette. 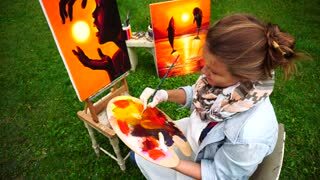 Women Beautiful Painter Gains Already Embossed Paint and Mix Colors in Park Outdoor in Daytime. 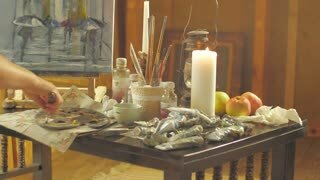 Women Artist Gaining Paint on Brush and Mix Colors on Palette, Sits Near Bench With Art Tools Outdoors. 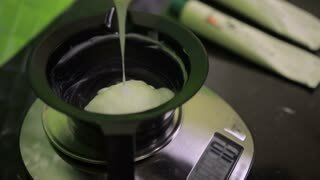 Close-up of man mixing eggs in bowl. 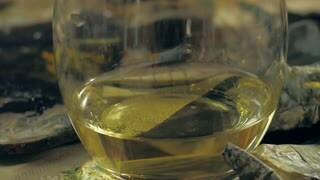 Shot in Cinestyle color profile (good for color grading). 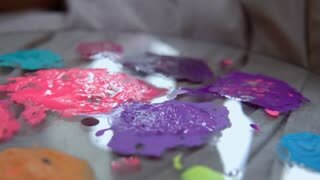 Liquid colors mix underwater. 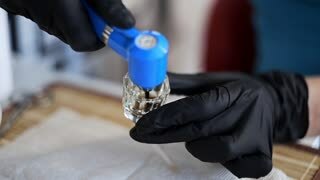 Dark green and brown color rush, red liquid spilled, black bubbles rising. Colors Mix into dark black in the end. Yellow and green color mix in a coor jet from left to right side. Filling empty white background space. Colors evolve underwater in a soft color clound. Blue and orange color slowly circling under water. Moving colors create trace of smokey clouds and interesting color mix. Isolated on white background. Holographic multi-colored background, colorful elements, unique colors mix, bright and saturated transition. Holographic multi-colored background, particles of light, unique colors mix, bright and saturated transition. Motion creative background, shiny bokeh, unique colors mix, bright and saturated transition. Warm glow, natural background, colorful elements, unique colors mix, bright and saturated transition. Motion creative background, colorful particles, unique colors mix, bright and saturated transition.